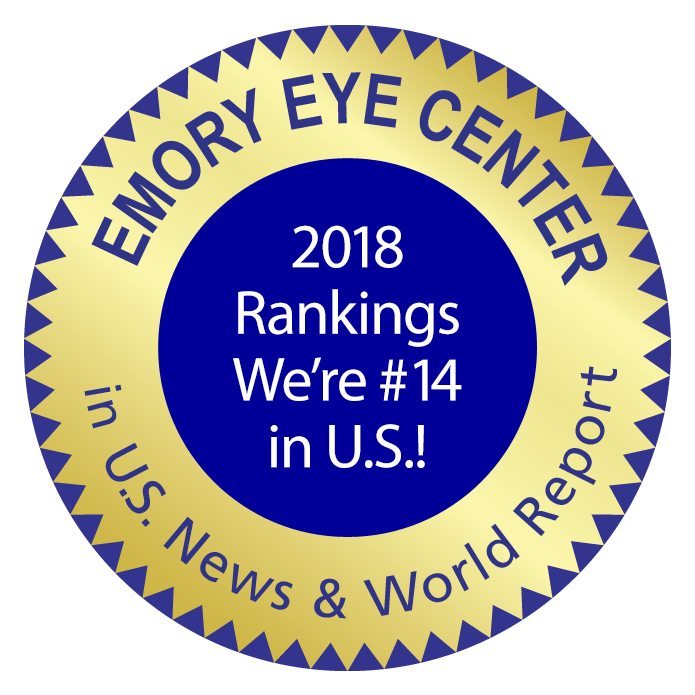 (ATLANTA) Emory Eye Center is again noted as a top ophthalmology center in the United States, according to the prestigious U.S. News & World Report guide to America’s top medical institutions. 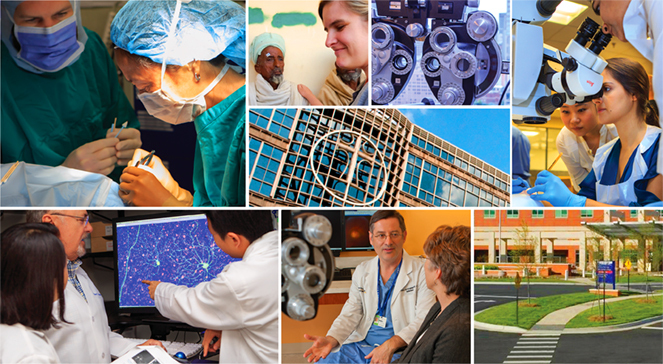 Emory Eye Center has earned a place on the list each year since ophthalmology rankings began in 1998. Of the sixteen medical specialties ranked, twelve are primarily judged by data. For the other four specialties – including ophthalmology – rankings are determined entirely by reputation, based on a survey of physician specialists from the past three years. The latest rankings were compiled from U.S. News surveys in 2016, 2017, and 2018. Emory Eye Center schedules more than 100,000 patient visits each year in four locations: Emory University Hospital main campus, Emory University Hospital Midtown’s Medical Office Tower, Emory St. Joseph’s Hospital main campus and Emory Johns Creek Physicians Plaza. With programs in cornea, retina (surgical and medical), glaucoma, neuro-ophthalmology, oculoplastics, ophthalmic pathology and pediatric ophthalmology, Emory has long been one of the most sought-after training programs for ophthalmology subspecialties. Patient care is further expanded through optometry, low vision and specialty contact lens services. The Emory Healthcare network was well represented on the 2018 U.S. News list. Emory University Hospital was ranked the number 1 hospital in Georgia and in metro Atlanta. Emory Saint Joseph’s Hospital ranked number 2 in Georgia and metro Atlanta, and Emory University Hospital Midtown ranked number 10 in Georgia and number 7 in metro Atlanta. Within a state or metro area, regional rank is determined by a hospital’s performance in the national rankings analysis and by its scores across nine procedure and condition areas evaluated. Four specialties at Emory University Hospital were nationally ranked this year: gastroenterology/gastrointestinal; geriatrics; neurology/neurosurgery; and urology. High performing specialties at Emory included cancer, nephrology, ophthalmology, orthopedics, and pulmonology. The U.S. News rankings help guide patients to hospitals that deliver outstanding care in particular areas. The specialty rankings and data are produced for U.S. News by RTI International, a leading research organization based in Research Triangle Park, N.C.
To see the entire report, visit http://www.usnews.com/best-hospitals. The Emory Eye Center is the largest, most comprehensive eye care facility in Georgia, serving patients for more than 125 years. With programs in cornea, retina (surgical and medical), glaucoma, neuro-ophthalmology, oculoplastics, ophthalmic pathology and pediatric ophthalmology, Emory Eye Center has long been one of the most sought-after training programs for ophthalmology subspecialties. Innovative treatments, groundbreaking research and personalized care have earned the Eye Center the respect of patients and providers alike.